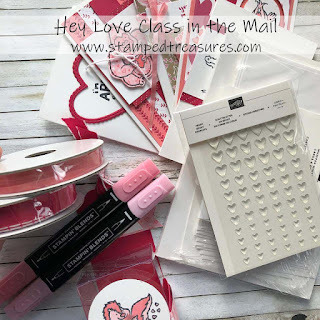 Sherry"s Stamped Treasures: The Hey Love stamp set isn't just for Valentine's Day Cards! The Hey Love stamp set isn't just for Valentine's Day Cards! 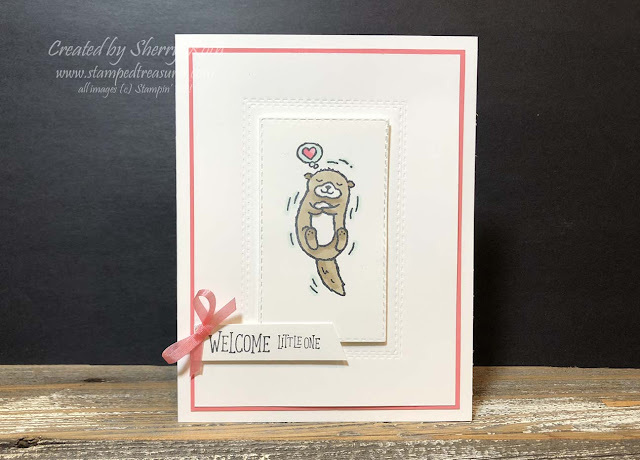 This little otter from the Hey Love stamp set is just the sweetest! Although the greeting that goes with it is for Valentine's Day, the image itself isn't just for Valentine's. It also makes the sweetest baby card! What do you think?! Many of the images in this set could be used for birthday cards. I love it when a set lends itself to a variety of occasions! Before I sign off for today, I want to remind you that today is the last day to sign up for the Hey Love class in the mail. You can find all the information here. Request your Hey Love Class in the Mail today!